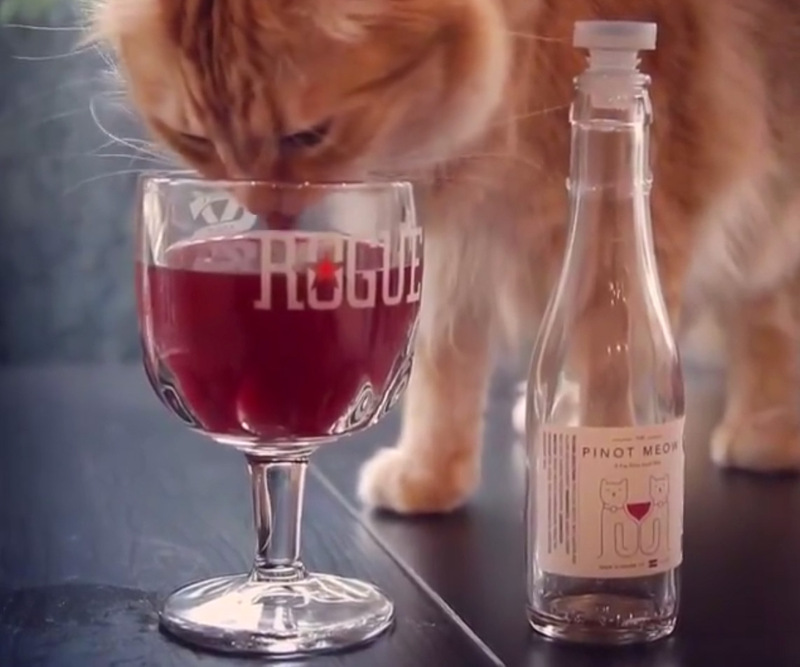 No, cat haters, Apollo Peak does not make wine out of cats. 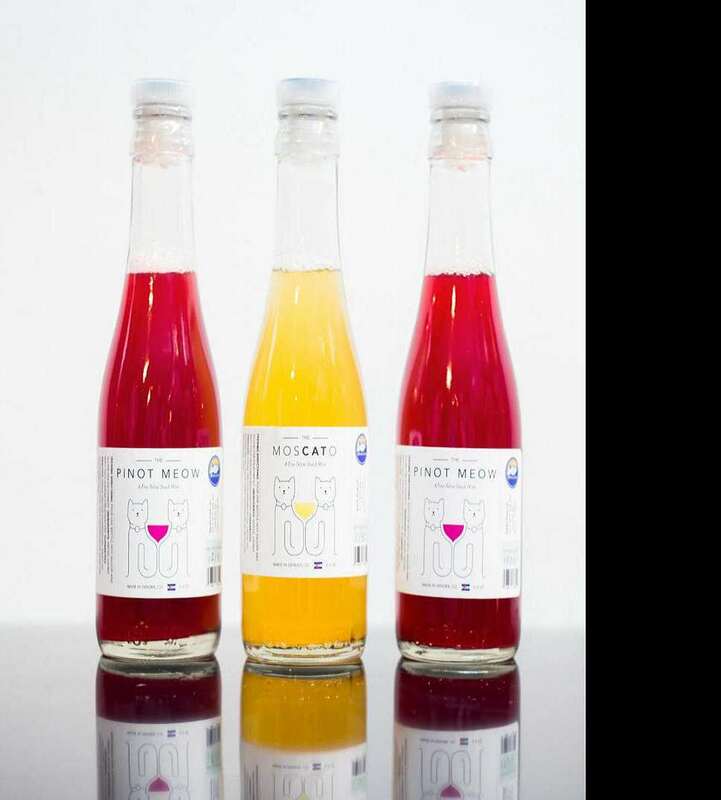 And, sorry pranksters, MosCATo is not a bottle of fermented grapes finished with cat pee that you can send anonymously to the nosy, loud-mouthed B from marketing who sits 4 desks over. But it's good news for the crazy cat ladies! Apollo Peak cat wine is wine for cats. So as you pour your heart out to Bella, Chloe, and Shadow after a long, rough day at work, you'll also be able to pour all four of you happy hour...and then dinner...and then after-dinner...and then late-night glasses of Pinot. Noir for you. Meow for them. 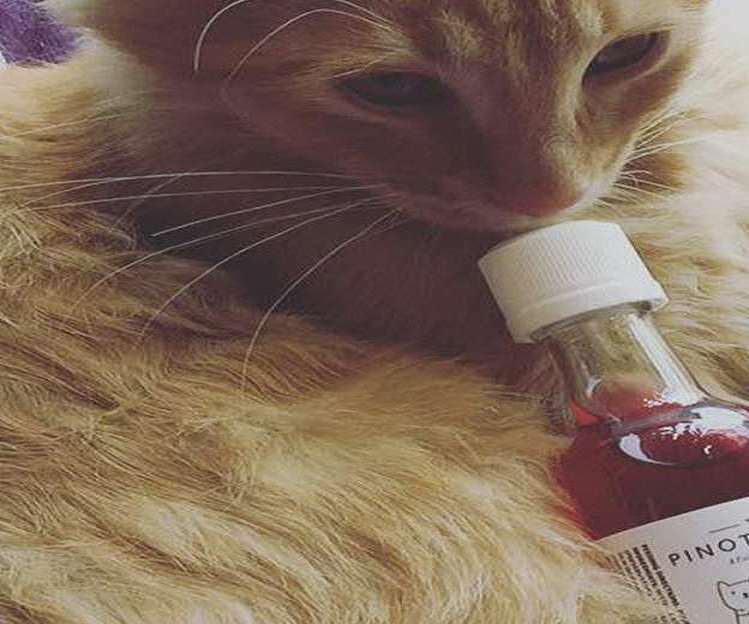 Apollo Peak's Pinot Meow and MosCATo wines are 100% alcohol-free, packed instead with organic red or golden beets and organic Pacific Northwest catnip. 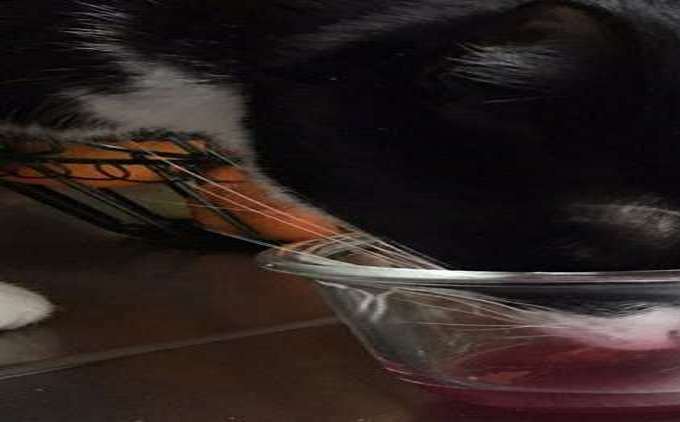 The company says that while the smell of the latter tends to make cats manic (if it affects them at all) ingesting it will do the opposite. They'll mellow out, get reflective, turn sloppy and uncoordinated, and eventually pass out like every other wino. No word on whether or not Apollo Peak plans to expand their line to pig ear- or rabbit poop-infused wine for dogs, but for those of you who want to crack open a cold one with with Rex, you can buy a 6-pack of Bowser Beer.